Words form sentences and sentences build stories. The story creates a context to the individual words. Words are only details. This concept is easy to understand for us human beings. For machines it is too complicated. Machine translators know which words mean the same thing in different languages but they still aren’t able to understand whole stories. They have difficulties in seeing the forest for the trees. Context is very important. The possibility of translation mistakes always goes up if the context is unknown. One reason for this is that synonyms are challenging. I don’t know whether we humans are just too lazy to invent new words, but if you read any dictionary in any language you’ll find out that many words have several meanings. Usually these words are the ones we tend to use the most in our everyday life. The most bizarre thing is that these words with many meanings vary between languages. This is why translators need to know the context before they can do the right choice of words. For example, in the Finnish language there’s only one word (hän) to describe the third person singular while in English there are two words (he and she). Only the context could tell how to translate it correctly. Sometimes even the context lacks the crucial information and professional translators need to put all their knowledge and skills to action. This is the weakest point of all machine translators. They can’t understand the context well enough to make educated decisions in ambiguous situations. 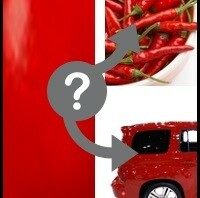 Their alternatively strategy is to search for clues which might be the right option. Many machine translators try to reason the right translations by comparing the original word to other words and word combinations close to it. There are some differences between customized, rule-based, statistical and hybrid machine translation methods but all types of MT are commonly taught to translate texts with certain content and context. If the text or vocabulary is rare or unusual, machine translators will probably produce low quality translations. The idea of universal machine translator is unrealistic is a sense that every MT knows only the things that are fed into it. To be able to translate all types of texts with good quality, the MT needs to have prior knowledge and experience of all those text types. Even if (which is very unlikely) someone managed to train a machine translator with all the possible translations in the world, it would still be far from perfect MT, because the universal MT would have to be able to recognize which text type it is translating at a time. From this point of view the common fear that machine translation replaces human translators seems quite exaggerated. Professional translators will always have the advantage of being able to understand the context. Our languages are so illogical and filled with exceptions that machines with their logical and mathematical approaches have huge challenges with automatic translation. However, this doesn’t mean that MT is totally useless. There are a lot of cases when a bad translation is always better than no translation. 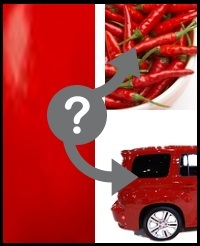 When you need to get the main idea of a foreign PDF document quickly, automatic translation may help you. 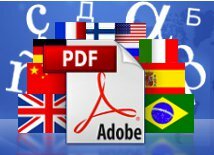 Multilizer PDF Translator is a PC tool for translating PDF documents to dozens of languages. Learn more and try it yourself here.